The Good Soldier is a story about the complex social and sexual relationships between two couples—one English, one American—and the growing awareness of American narrator John Dowell of the intrigues and passions behind their orderly Edwardian façade. It is Dowell's attitude—his puzzlement, uncertainty, and the seemingly haphazard manner of his narration—that makes the book so powerful and mysterious. In Ford's brilliantly woven tale, nothing is quite what it seems. Despite its catalog of death, insanity, and despair, this novel has many comic moments and has inspired the work of several distinguished writers, including Graham Greene. 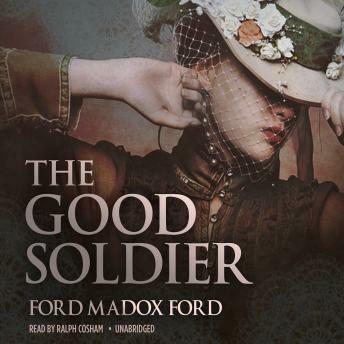 Originally published in 1915, The Good Soldier is considered by many to be Ford Madox Ford's masterpiece.